We’re Saying Goodbye to WordPress! We recently underwent a snazzy website re-design, so now our blog is hosted on our actual website at www.nyccah.org/blog. We will no longer be updating this blog, so please check out the new one to stay up-to-date on hunger news and events! Thanks for following. National Review Columnist and Fox News talking head, Michelle Malkin, writes a grossly inaccurate editorial on the AmeriCorps program. Joel Berg responds with the facts and a reminder that national service programs such as AmeriCorps, do more to address the fundamental conservative value of service to one’s country than any other program. She argues that it is wrong to use participants in the AmeriCorps national service program to help low-income families, children, and seniors obtain food stamps benefits, which she derides as “welfare.” Yet Malkin purposely omits key facts that would help the public understand that many components of both the AmeriCorps Program and the Supplemental Nutrition Assistance Program (SNAP) – the current name for what used to be called the Food Stamp Program – advance conservative principles. Let’s start with the idea of national service, which engages Americans in domestic community service, usually through non-governmental nonprofit groups. Participants receive a small living stipend, but don’t receive a penny unless they work hard. If they successfully complete a full term of service, they receive an educational scholarship, but again, only if they do the work and do it well. It is no wonder then that, in the late 1980’s, when the Democratic Leadership Council and the Progressive Policy Institute (two organizations generally affiliated with the conservative/moderate wing of the Democratic Party and for whom I worked) proposed the idea that would become AmeriCorps, it was traditional liberals who were the staunchest opponents of the program, saying it was wrong to tie government benefits to work requirements. It is ironic indeed that an idea championed by conservatives and derided by liberals is now lambasted as some sort of so-called example of liberalism run amuck. In reality, most AmeriCorps funding decisions are made by states. Conservatives who are consistent about supporting federalism should embrace this program. All AmeriCorps benefits are made contingent upon work. Conservatives who are consistent in their claim that work should be the centerpiece of social policy should herald AmeriCorps as a best practice. The most egregious misinformation in the Malkin piece is her implication that the national AmeriCorps benefits outreach program she is slamming is managed directly by the federal government and funded only by the federal government. It is not. In fact, it is run by the organization I manage, the New York City Coalition Against Hunger, a 501(c)3 nonprofit group, in conjunction with nonprofit groups and faith-based organizations around the country. (For the record, I am writing this response using non-governmental funds.) While most of the funding is federal, significant matching funds have been provided by the Walmart Foundation and the Trinity Church Wall Street in New York City. Conservatives who are consistent in their desire to buttress non-government entities should hold up AmeriCorps as a shining example. Malkin derides religious organizations working with the government onSNAPoutreach as “left wing,” but the reality is that our AmeriCorps outreach program is working with mainstream Protestant, Catholic, and Jewish groups. Our partners include the Presbyterian Hunger Program,BaylorUniversity, and the Jewish Federation of Los Angeles. Conservatives who are consistent in their support for faith-based partnerships should run to the hilltops to praise this program. Moreover, it’s absurd to claim that helping our hungry neighbors, including seniors and children, obtain food is somehow “left wing”. Given that mandates to do so are central commandments of the Old Testament, the New Testament, and the Qur’an, I would think that self-proclaimed religious people, such as Malkin, should promote, not deride, such efforts. After all, it was Jesus Christ himself (in Matthew 25) who said that helping the poor and hungry obtain food was just as holy as feeding the Lord. I must also point out that, in some fundamental ways, the SNAPprogram is a conservative approach to fighting hunger.SNAP benefits are, first and foremost, wage supports, helping make low-income work a better way to support a family than receiving cash welfare. In fact, people who have left welfare are less likely to return if they receiveSNAP. That is why many conservative governors have promotedSNAP access even as they continue to reduce their welfare rolls. Even George W. Bush’s Administration made it clear thatSNAP was a work support, not welfare. In fact, the Bush Administration’s USDA Under Secretary Eric Bost once said, “I assure you, food stamps is not welfare.” Yet because the term “welfare” sounds so much more nefarious than the accurate term “nutrition assistance,” Malkin uses it over and over again to inflame her audience. SNAPis the ultimate voucher program, allowing families to use government funds to shop at private stores. Unlike truly liberal countries likeIndia orBrazil where government food programs direct low-income families to government-run food warehouses,SNAP is now distributed entirely through theU.S. private enterprise system. Every government dollar spent by taxpayers on SNAP creates 1.8 dollars in private economic activity. Conservatives who are consistent in their support of vouchers should highlight the effectiveness ofSNAP. To be sure, AmeriCorps also bolsters the traditional liberal goals of increasing economic opportunity and expanding educational access. But there is no question that it also supports the traditional conservative goals of rewarding work and strengthening communities. Likewise, outreach to increaseSNAPusage advances the traditional liberal goal of reducing poverty. But there is no doubt that it also reinforces the traditional conservative goal of strengthening families. If we want to live in a country that exists in a state of perpetual political warfare – in which we automatically denounce anything supported by our political opponents – then it makes sense for some people to reflexively oppose AmeriCorps andSNAPjust because their opponents support them. But if we want to live in country where Americans come together to solve major problems based on shared values – as the vast majority of Americans do – then we should all embrace efforts such as AmeriCorps. Our national service program, fighting hunger with a mix of federal and private funds, working with both secular and religious non-profit groups, represents the best of middle-of-the road American tradition. It deserves all Americans’ consistent support. In March, Joseph Midgely, a Food Action Board (FAB) member with NYCCAH, accompanied Joel Berg and other NYCCAH staff to Washington, D.C. to attend the annaul Food Research Action Center conference and lobbying event. During the conference he was interviewed by a national anti-hunger group. See the following video which was also referenced in an article by Vicki Escarra in The Huffington Post. NEW YORK, NY – Today, Representatives Jerrold Nadler, Charles Rangel, Carolyn Maloney, Eliot Engel, Anthony Weiner, and Nydia Velazquez, and dozens of nonprofit leaders and advocates from across New York City voiced their strong opposition to the imminent federal spending cuts that will slash over $38 billion from vital national programs, decimate funding for New York’s hardworking community organizations, cut jobs and services, and destabilize local neighborhoods during the ongoing recession. With the imposition of an extremist GOP social and economic agenda, local leaders addressed the real world cost of the planned cuts. Community Development Block Grants, which provide vital services to low and moderate-income families and communities across the city. The grants fund career training, homeless shelters, assistance for victims of crimes, and help preserve affordable housing, among many other initiatives. Community Services Block Grants, which fight poverty, fund programs for youth, seniors, immigrants, and families, and spur community development. Workforce Investment Act, which provides job training and placement for tens of thousands of New Yorkers. Title I funding for Education for low-income kids. Head Start, which provides free childcare and educational programs for pre-school and kindergarten-aged kids. Child Care Development Block Grants, which provide childcare for low-income families. Women, Infants and Children (WIC), which provides food assistance, health care referrals, and nutrition education for low-income women, infants and children. Public Housing Capital Fund, which funds major capital needs for the New York City Housing Authority (NYCHA). “If the Republicans had told the American public last fall that they would pass zero jobs bills and instead slash programs for seniors, women, and the poor, they would have been laughed out of Congress. This year’s budget will cause untold suffering for women and children but won’t create a single job. Next year’s Republican budget proposal is even more extreme – it ends guaranteed Medicare for seniors to finance a giant new tax cut for corporations, and would add trillions to the deficit over the next ten years. 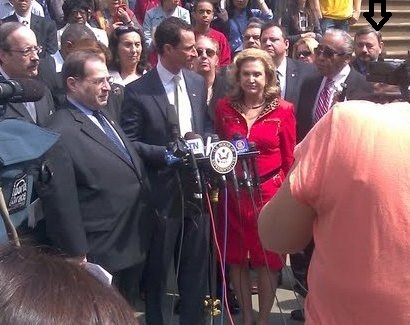 This isn’t a recipe for a balanced budget, it’s a recipe for disaster,” said Congresswoman Maloney. “Our Community Services Block Grant dollars allow the Urban Justice Center to operate a legal clinic in West Harlem. At the clinic we are able to serve the most vulnerable NYC residents by assisting them with food stamps, Medicaid, cash assistance and eviction prevention services,” said Lori McNeil, Director of Research and Policy for the Urban Justice Center’s Homelessness Outreach and Prevention Project. “It would be cruel and counterproductive to cut national service and education programs like AmeriCorps or nutrition programs such as WIC and food stamps during the best of times, but is it truly unfathomable to do so in what is still a deep recession for most Americans. 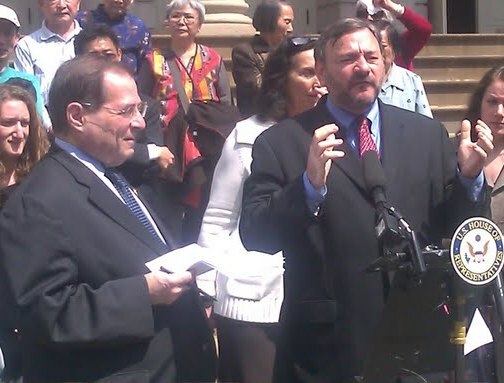 If these cuts go through, not only will they add to mass suffering, they will contribute to additional jobs losses,” said Joel Berg, Executive Director of the New York City Coalition Against Hunger. 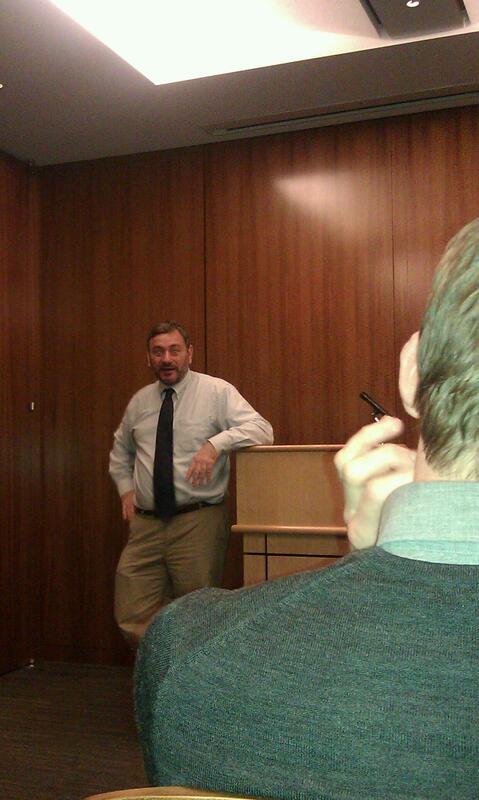 On Tuesday, March 25th, Joel Berg addressed hunger issues in America to a group at The Princeton Club. Joel Berg agrees with Bloomberg’s most recent study, citing increased access to food stamps as a key factor in preventing a drastic rise in the City’s poverty level. New York City Still Has the Hungriest District in the Nation! NYCCAH is proud to be a four star charity.